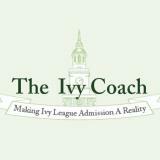 If you’re a current or former admissions officer at a highly selective college, we have job openings at Ivy Coach. If you’re a current or former admissions officer at a highly selective college, we are interested in speaking with you as we’re looking for college consultants to join our team. Since we interact with the vast majority of our students via phone, email, and Skype, at Ivy Coach, we can offer you the opportunity to earn a competitive income while you work remotely. At Ivy Coach, you’d be working one-on-one with students around the world as they work to submit the best possible applications to the highly selective colleges of their choice. And our students get accepted. In over 20 years, 100% of our students were admitted to one of their top three college choices. And 93% were admitted to their first college choice. Check out our college admissions results. If you might be interested or should you have any questions about career opportunities at Ivy Coach, please send an email to director@theivycoach.com and include your resume and a cover letter. We look forward to hearing from you!